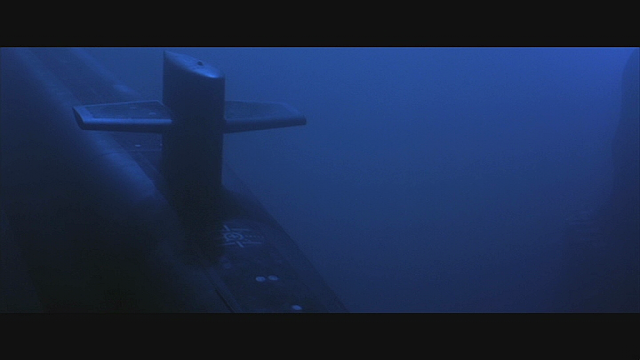 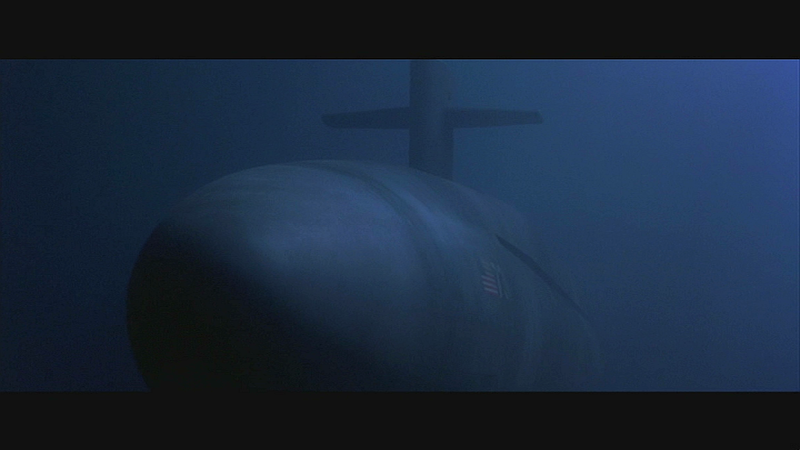 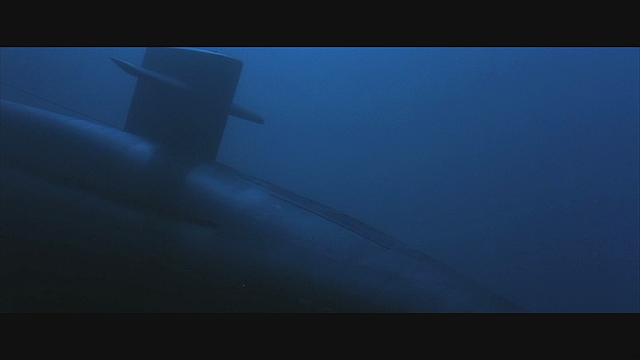 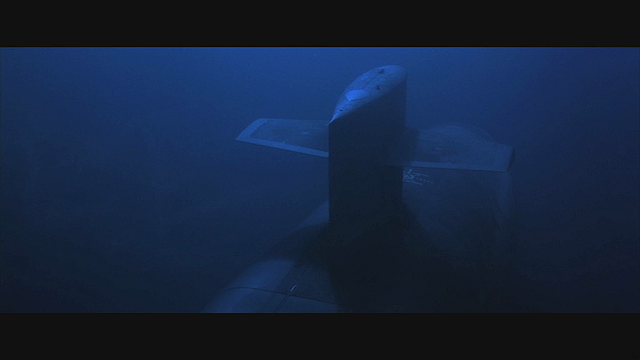 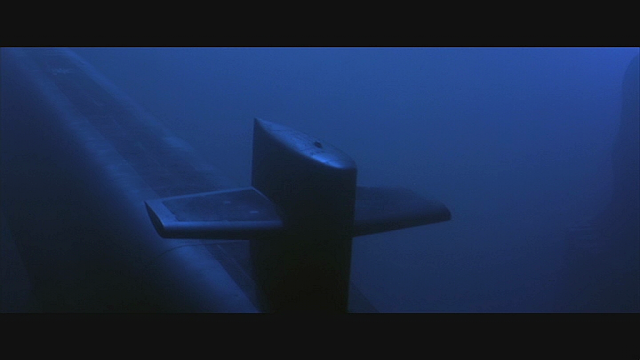 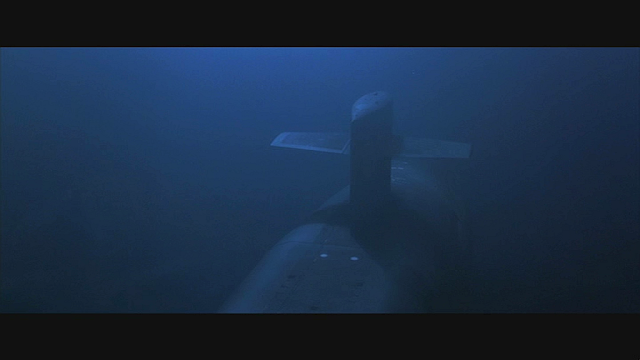 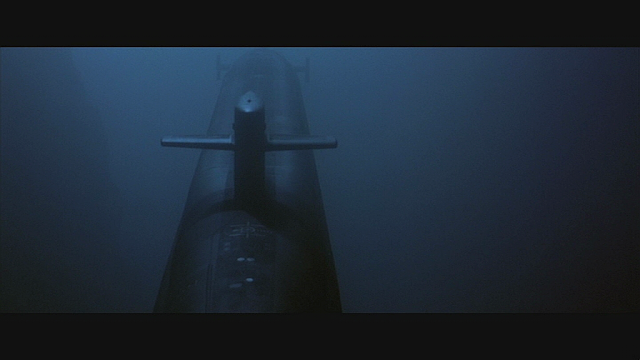 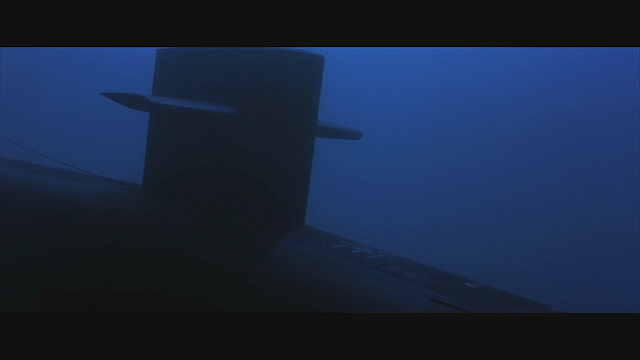 The US Ohio class Nuclear submarine the USS Alabama of the film was represented by models built in three scales from 1/96 scale at 6 foot (1.8m), 1/48 scale at 12 feet long (3.7m) to the largest 1/24 scale at 24 feet long (7.3m). 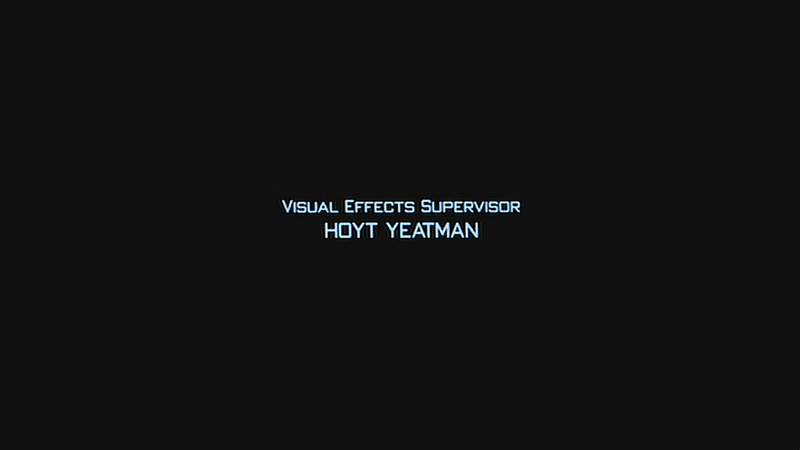 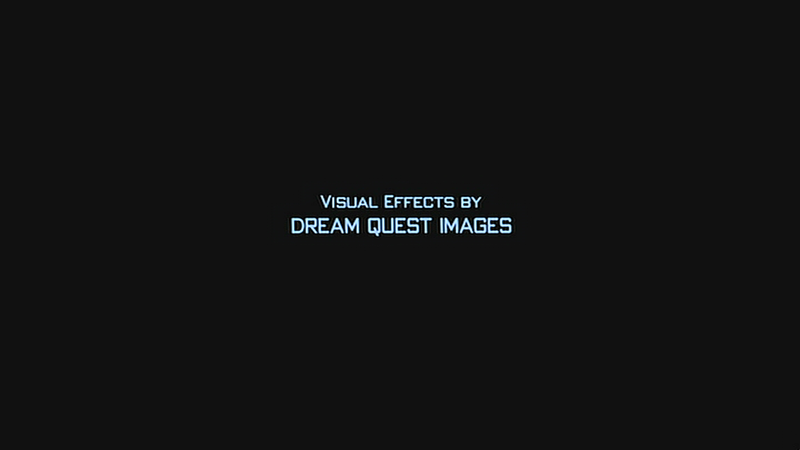 The smallest 1/96 scale was a hobby RC model while the other two were a custom lightweight model built for dry for wet motion control photography in heavy smoke on the DreamQuest overhead gantry motion control stage. 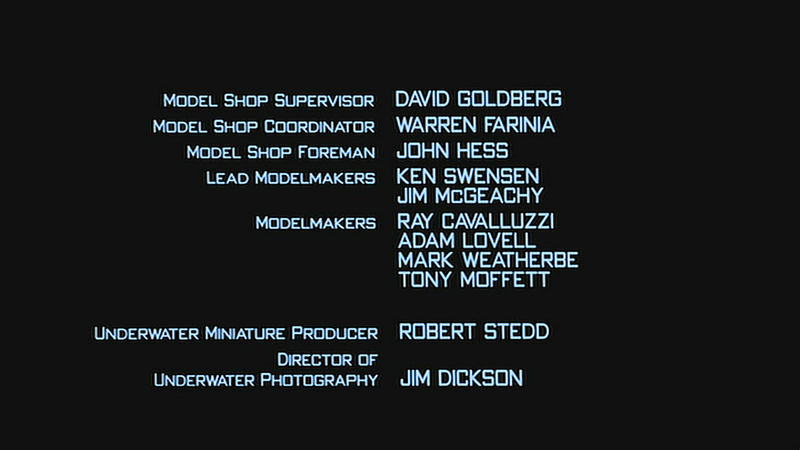 The model crew was lead by Dave Goldberg who designed the models in cad and decided that as there was only going to be one model at for each scale to use a build up technique rather than a master pattern, mold and then cast hull method. The large models started with laser cut acrylic ribs strung along an aluminium pipe spine. 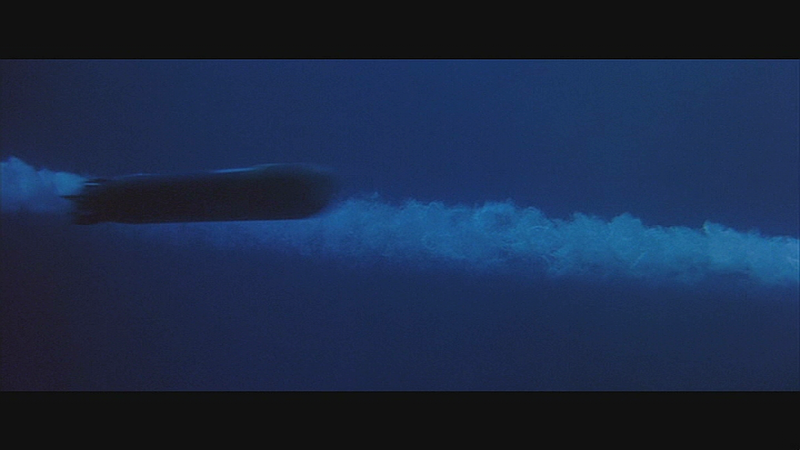 Over the ribs was laid thin vacuum formed styrene sheets, molded with a rippled surface. 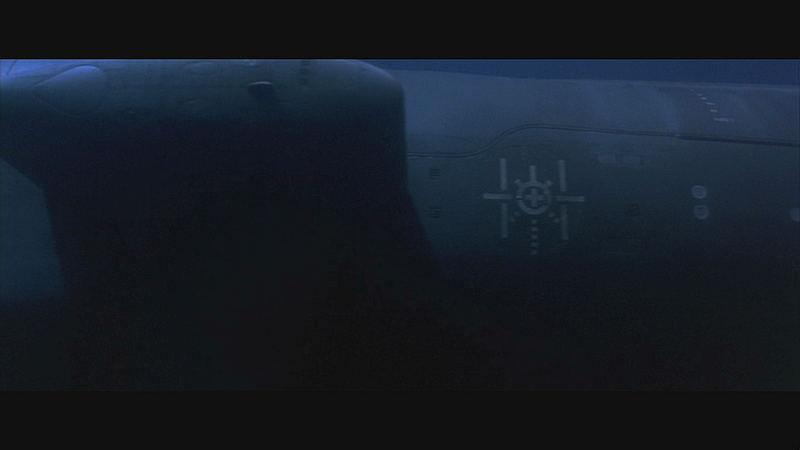 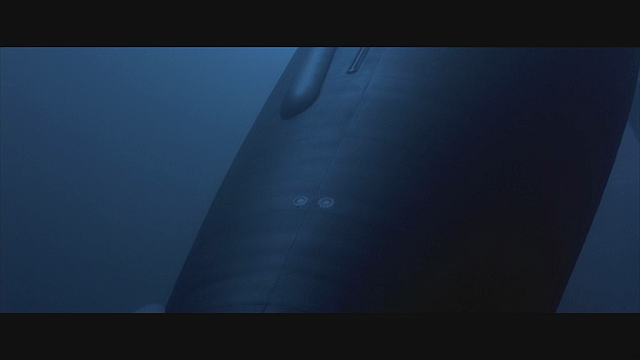 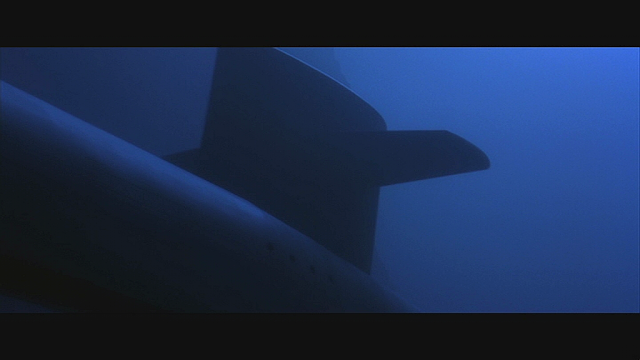 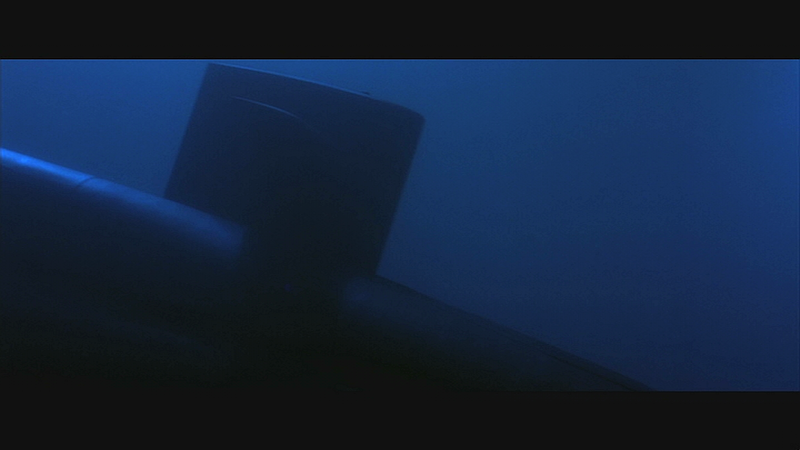 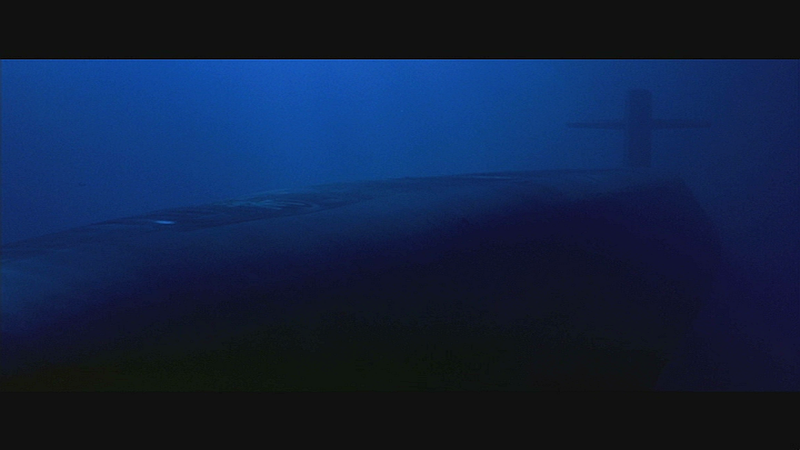 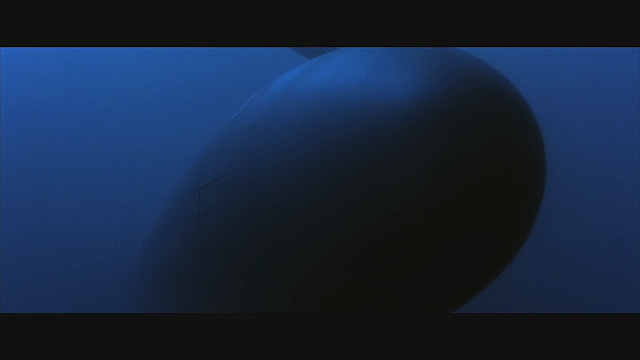 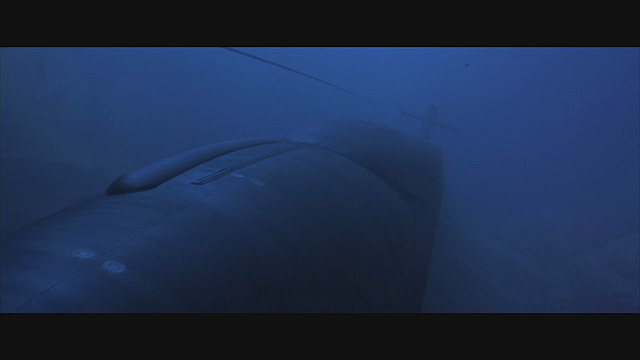 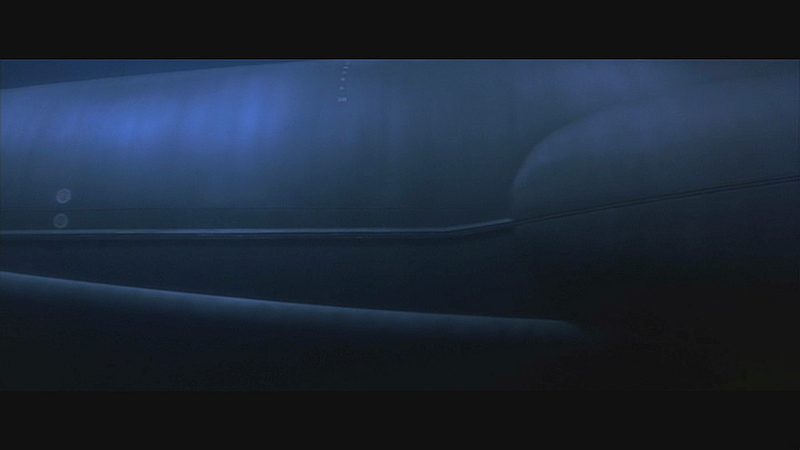 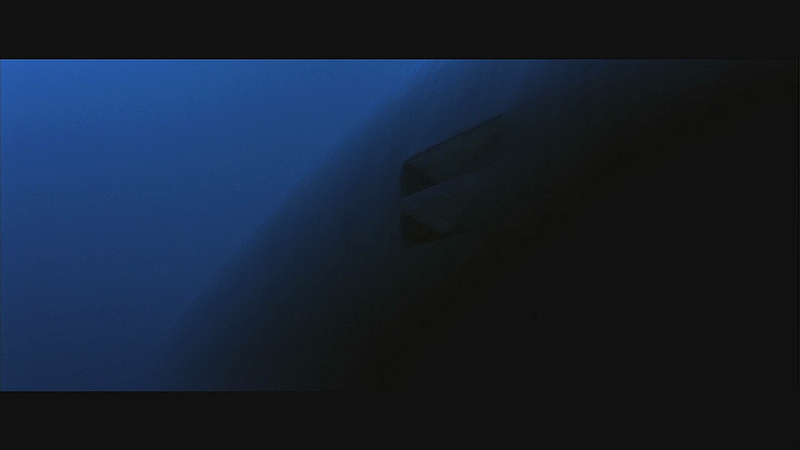 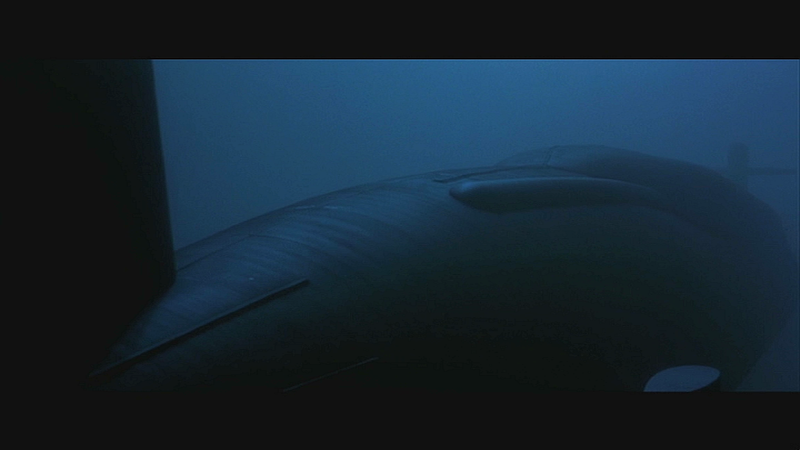 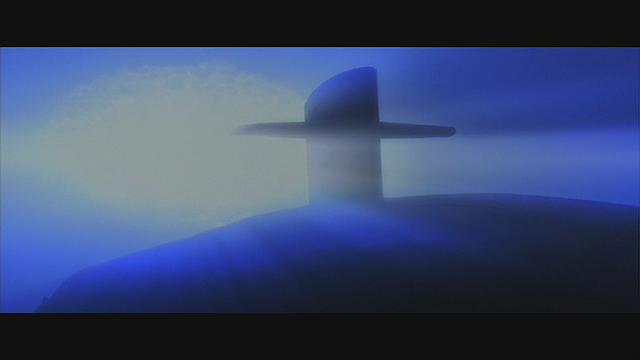 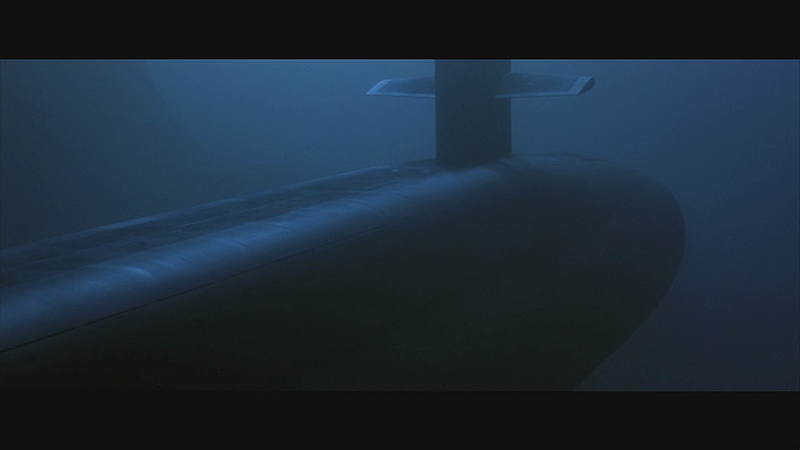 The rippled surface replicated the way the real submarine hulls have a subtle indentation between the frames. 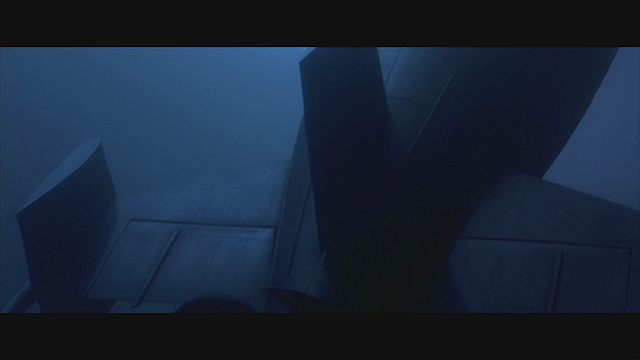 Further detail was scribed and added to the styrene sheet surface. 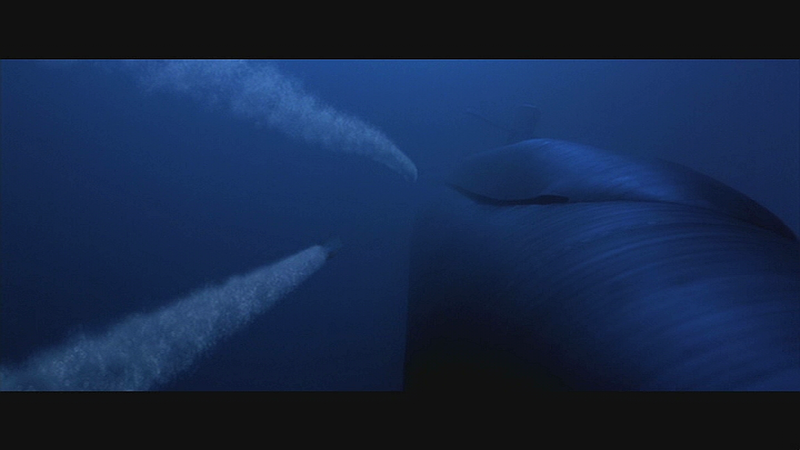 The nose and tail ends were carved in dense foam complete with the rippling surface and these were then used as molding masters for a cast part. 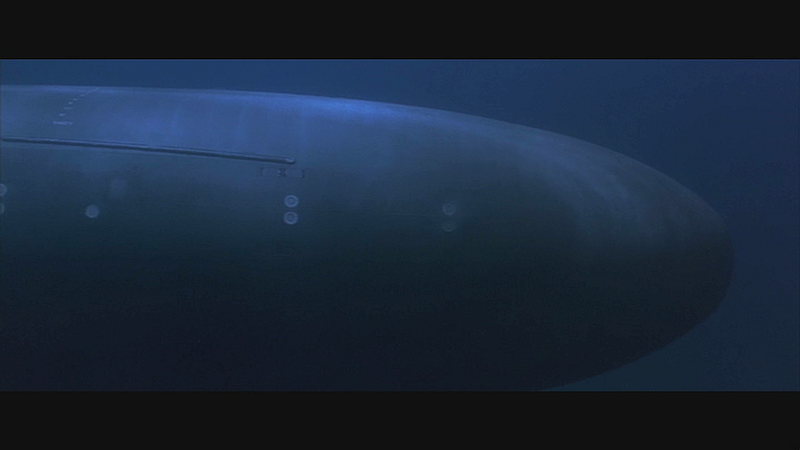 The largest model weighed 175 pounds when completed (79kg). 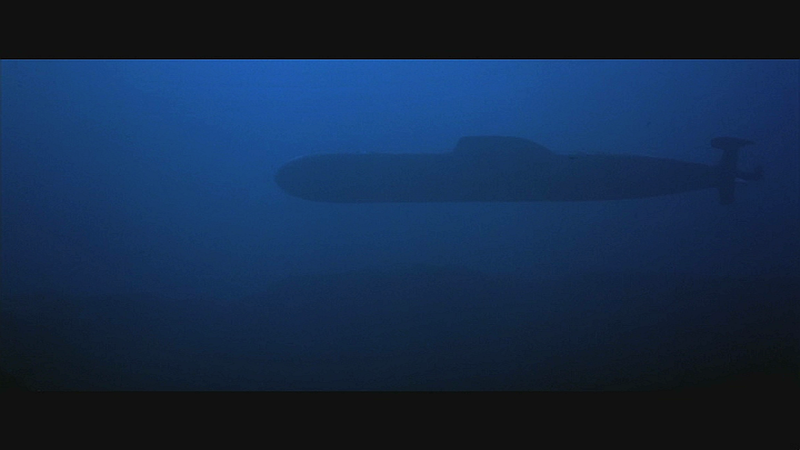 Two scales of the Russian Akula class submarine were built, a smaller one out of wood at 1/96 scale at roughly 4 feet long (1.2m) and a larger one at 1/24 scale measuring 16 feet (4m) in length built in the same way as the larger Alabama. Both of these models were for use on the smoked in motion control stage and were primarily hung on wires from the overhead gantry system while the larger Alabama was supported from the ground. 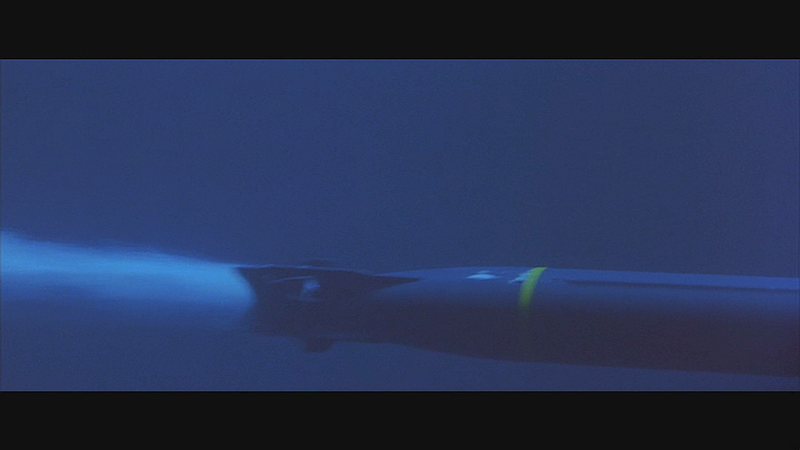 During testing it was determined that the smaller models used for distant shots did not end up looking realistic enough and so the two largest models were the only ones that ended up on screen. 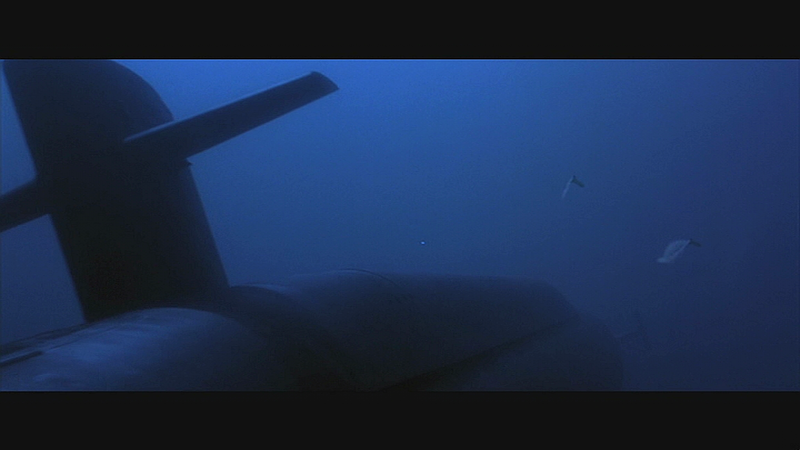 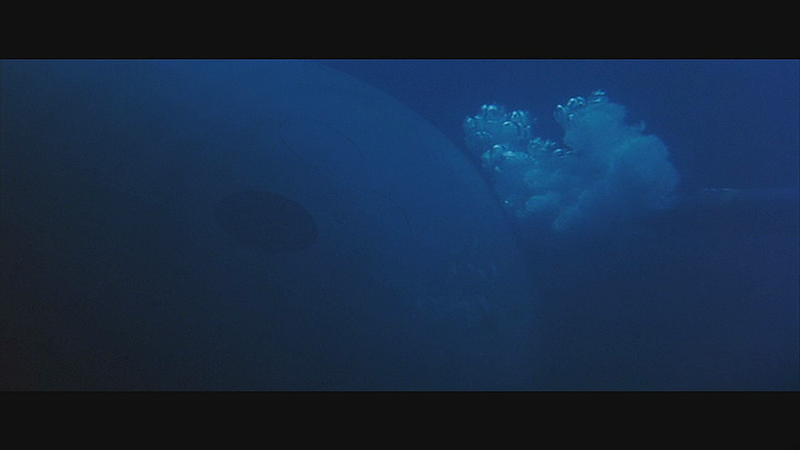 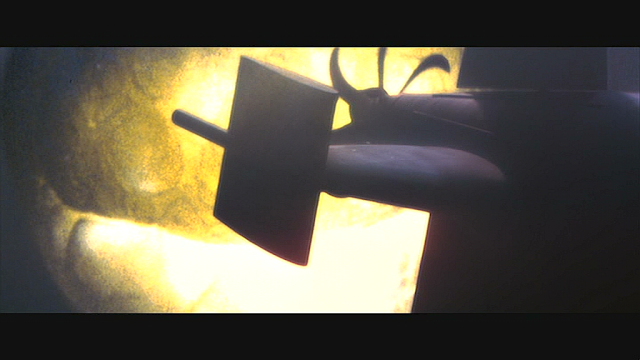 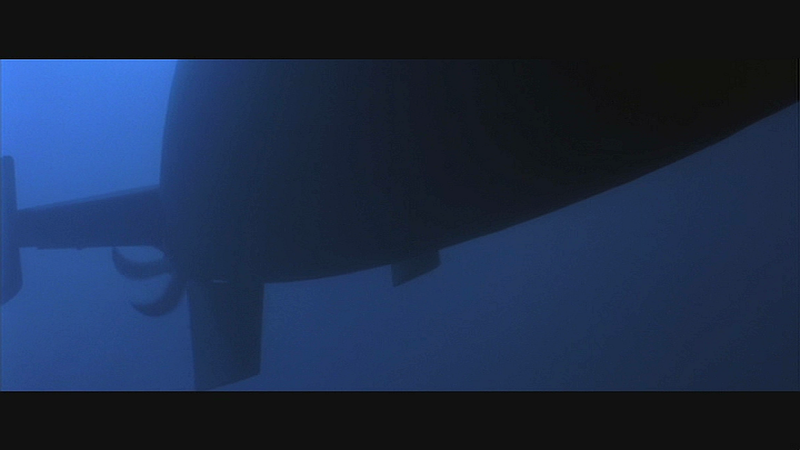 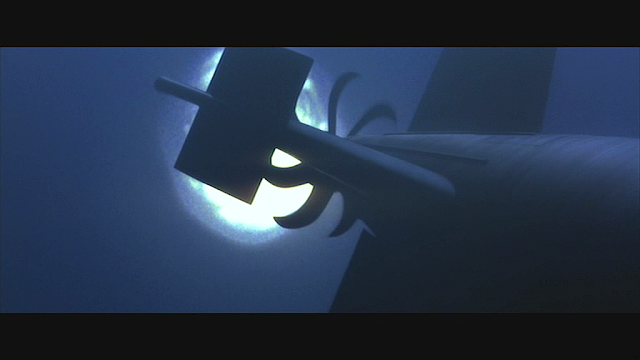 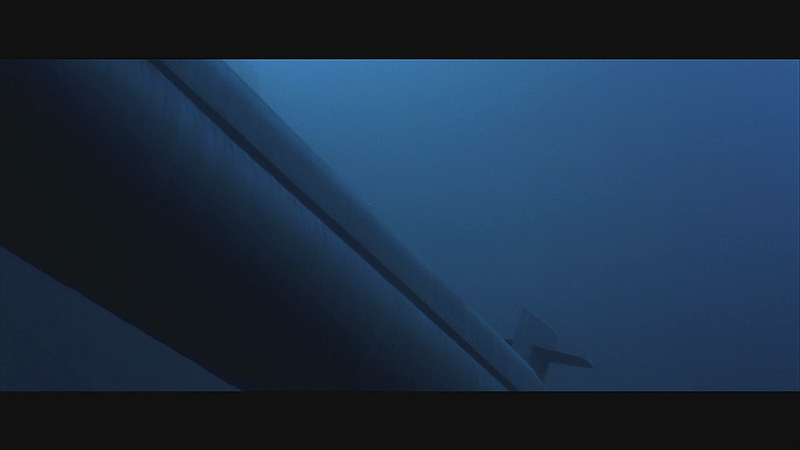 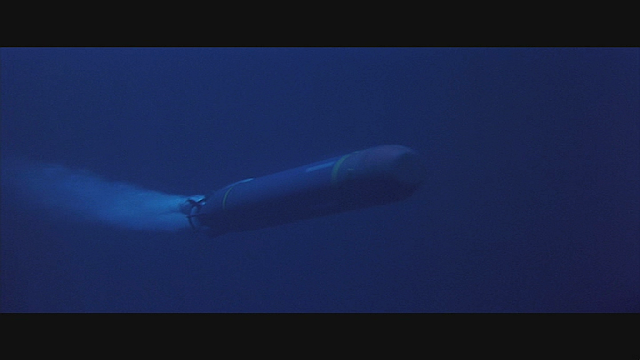 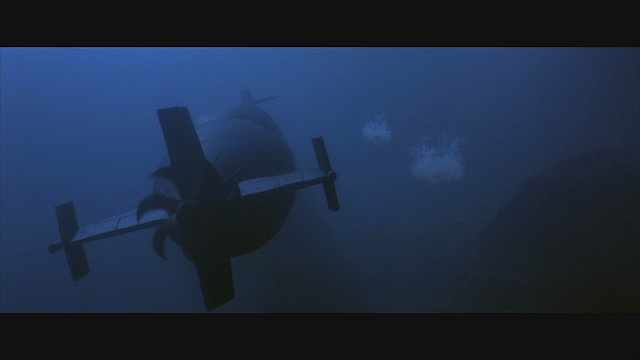 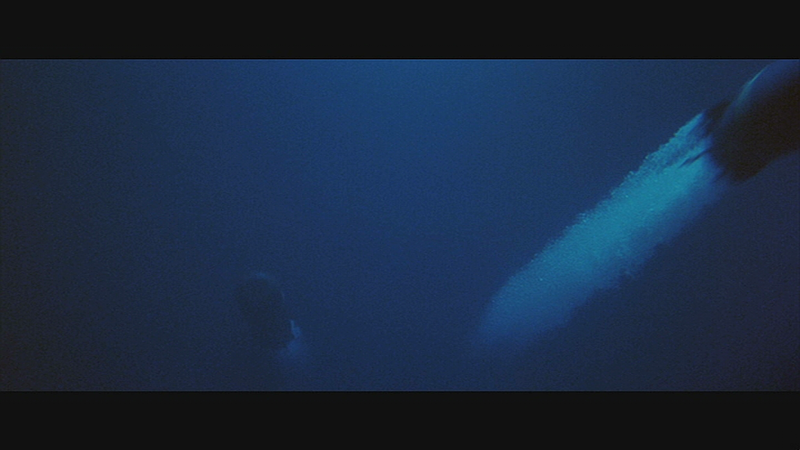 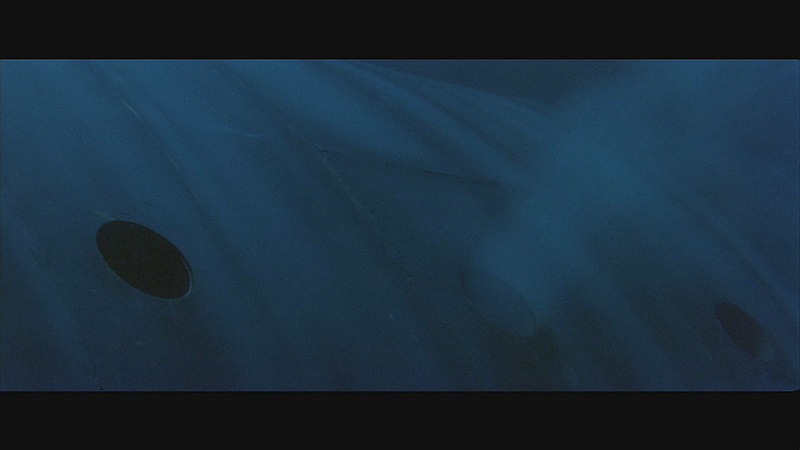 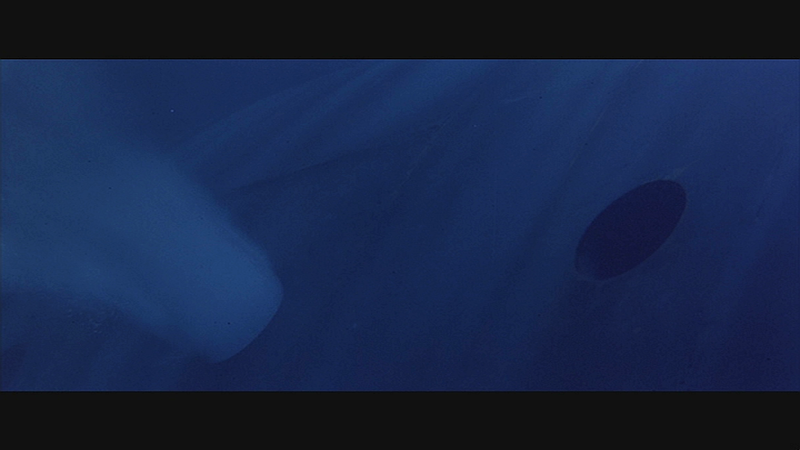 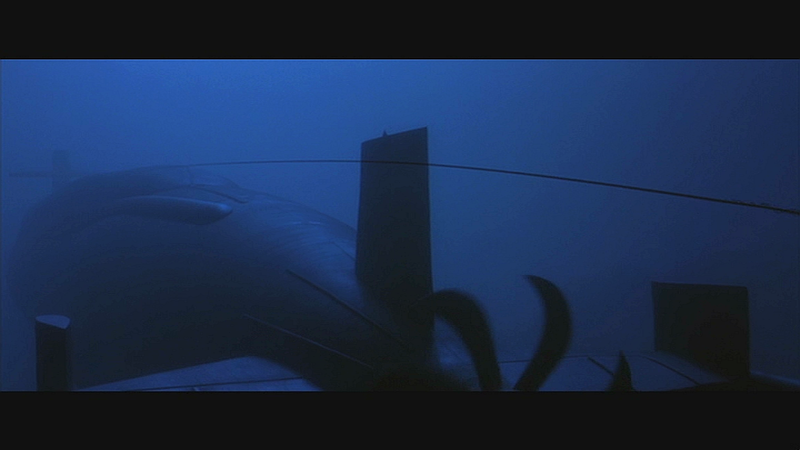 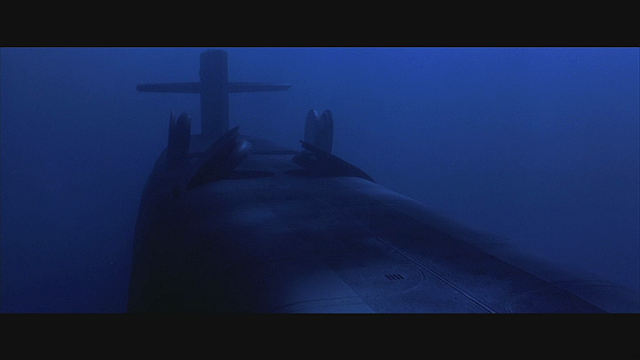 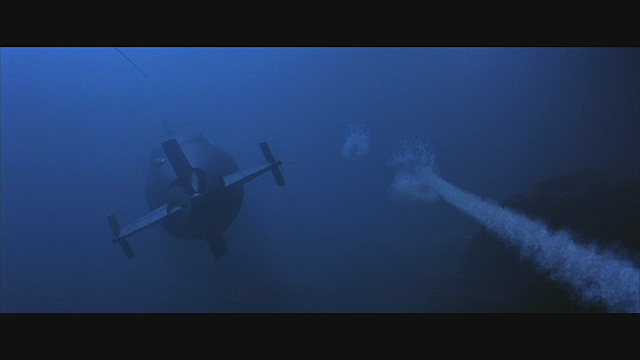 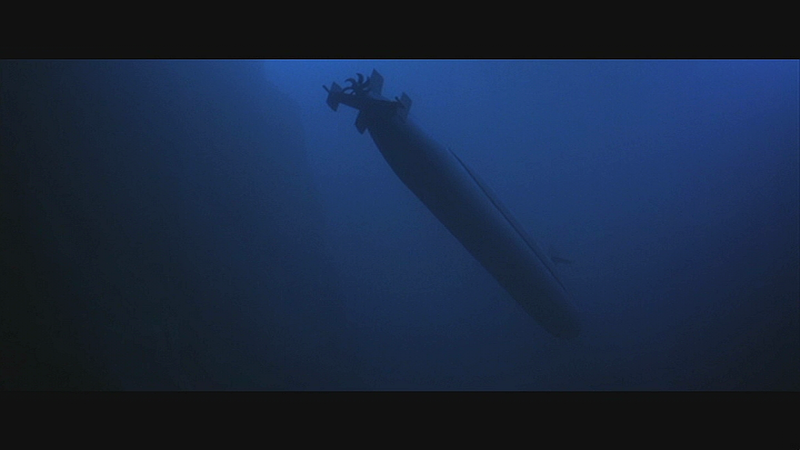 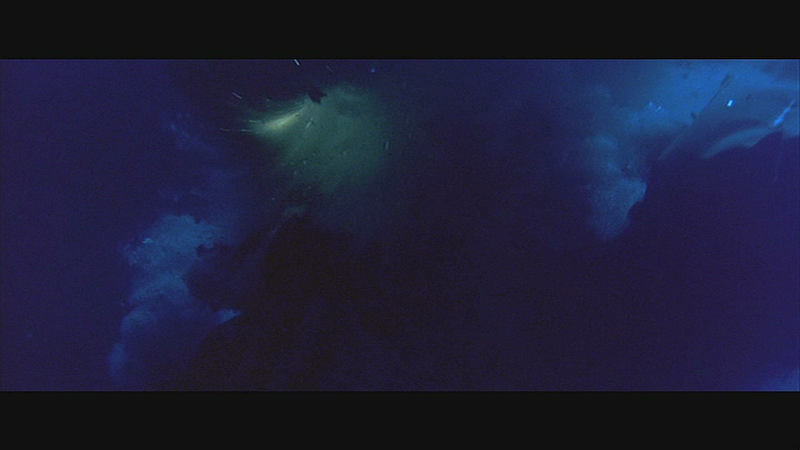 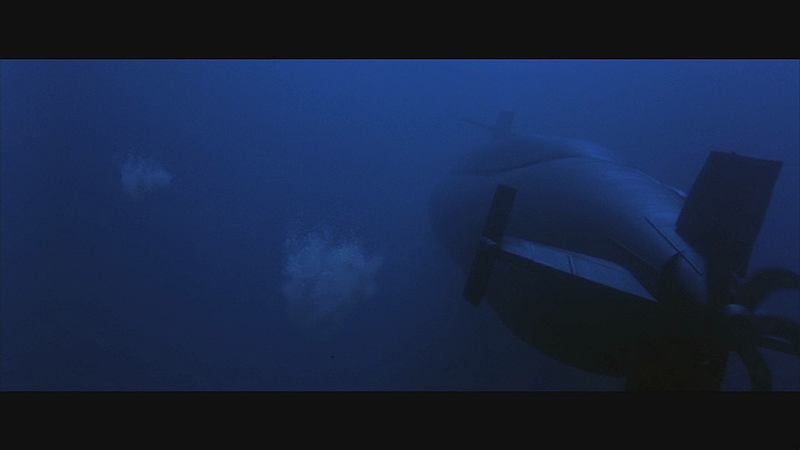 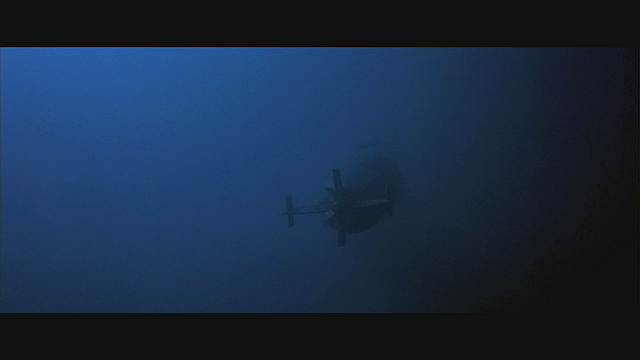 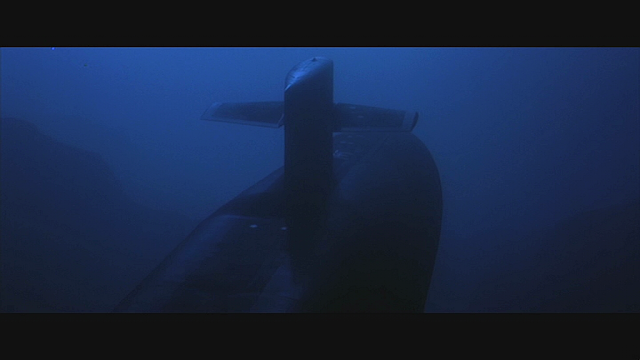 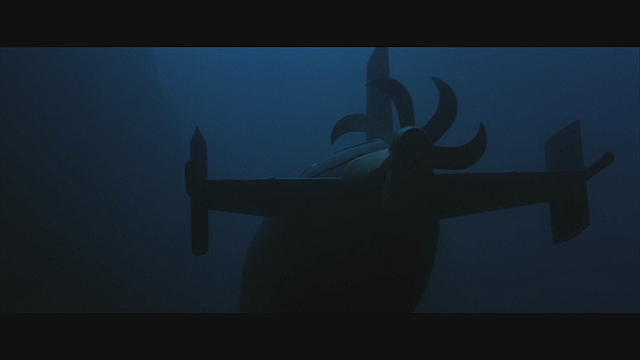 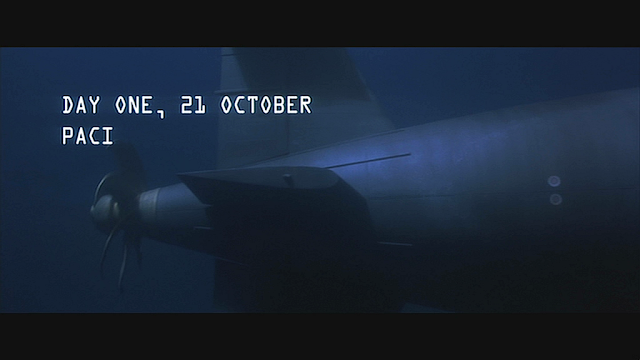 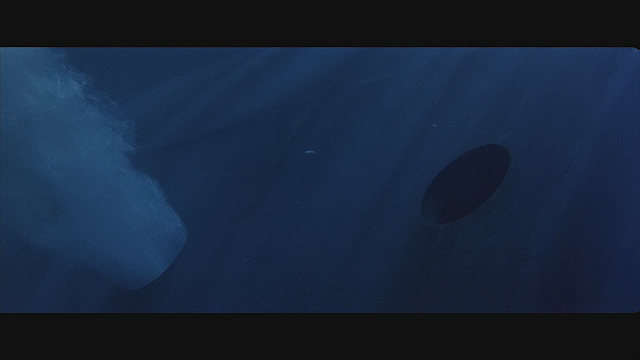 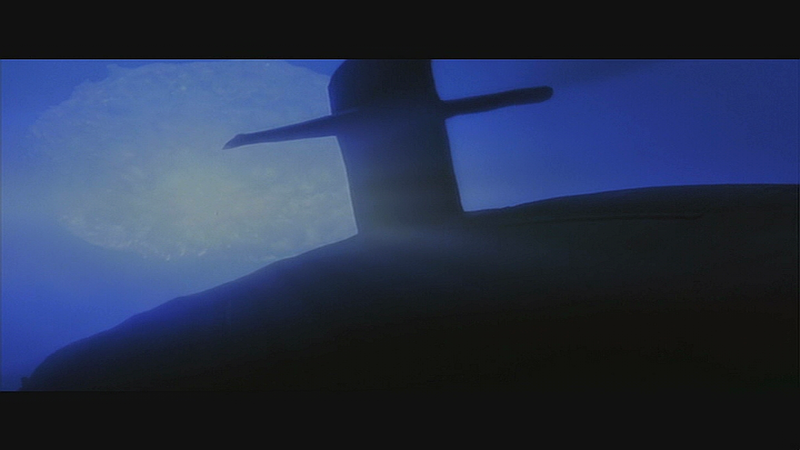 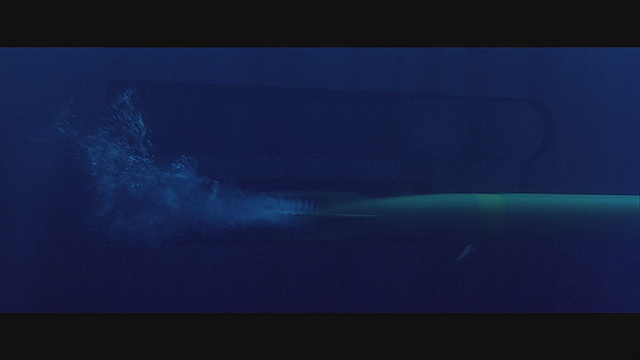 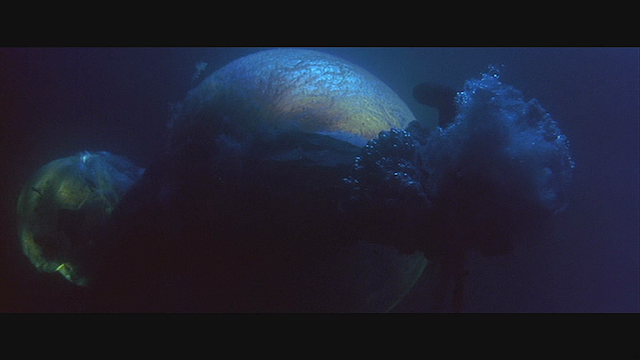 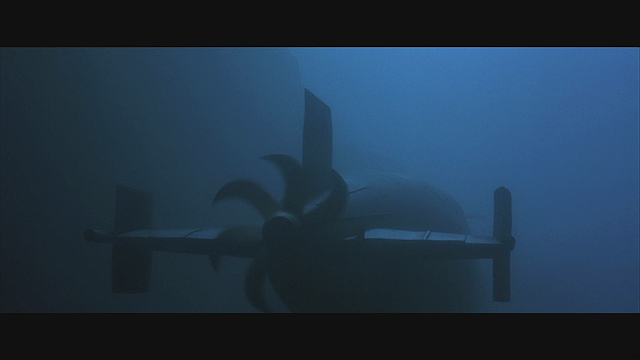 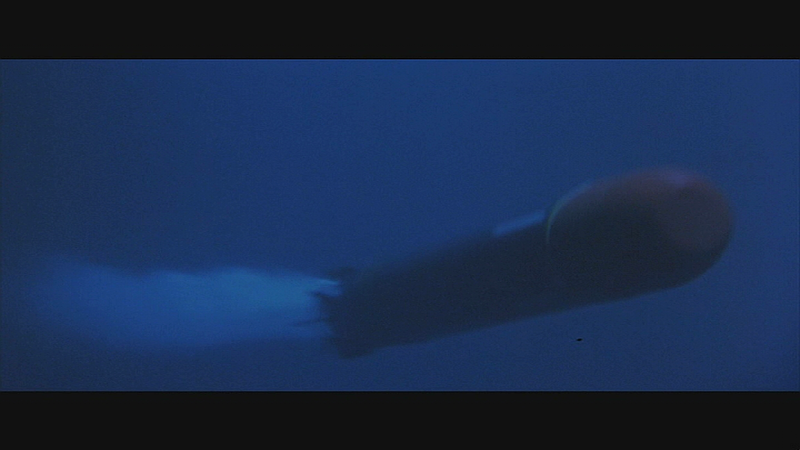 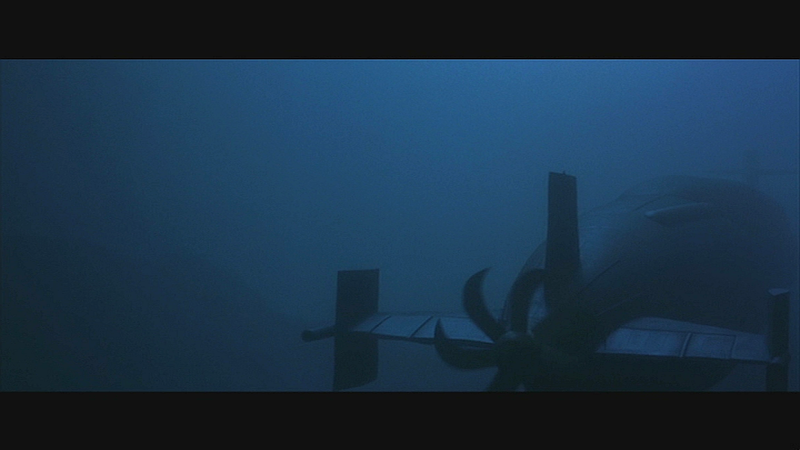 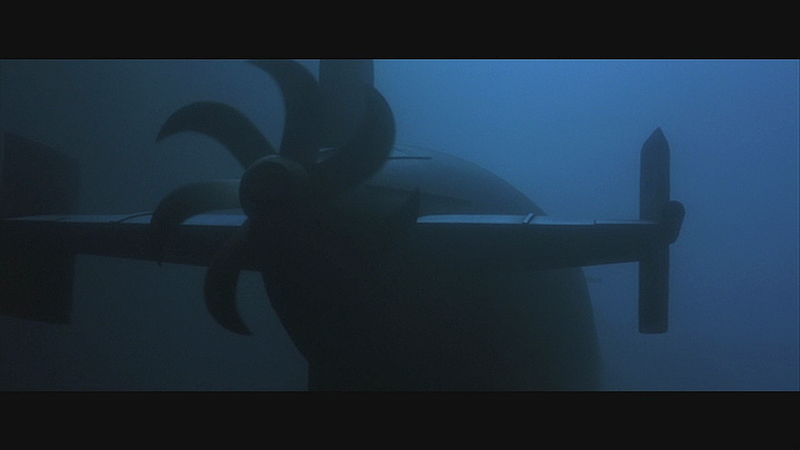 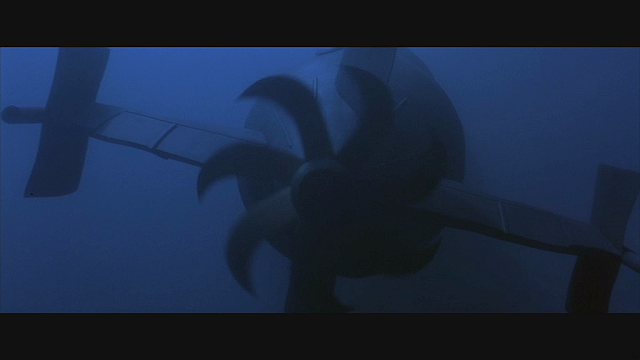 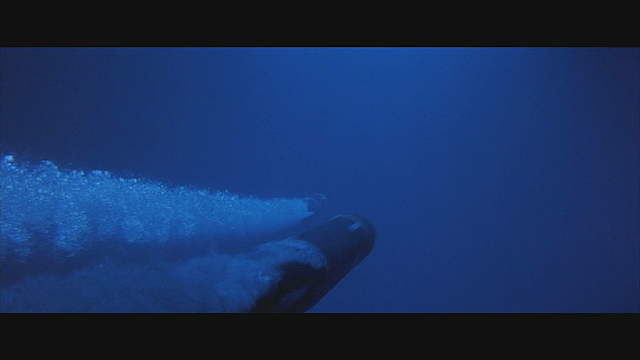 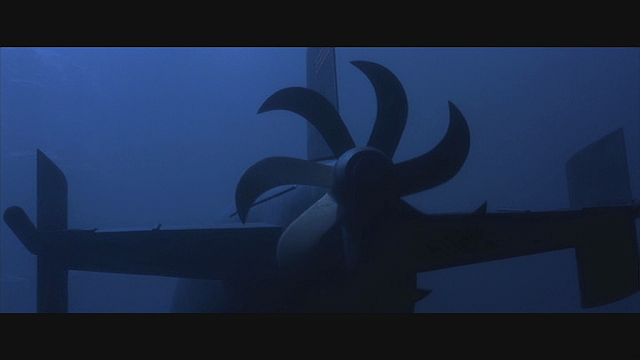 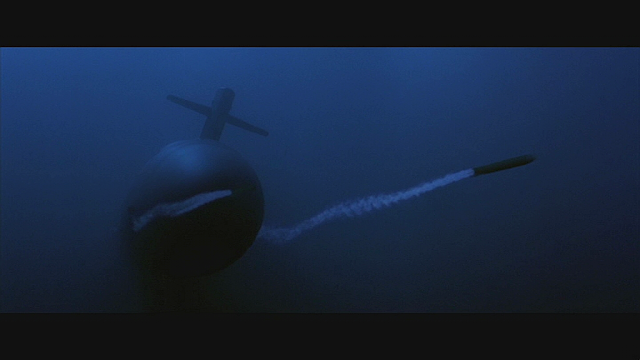 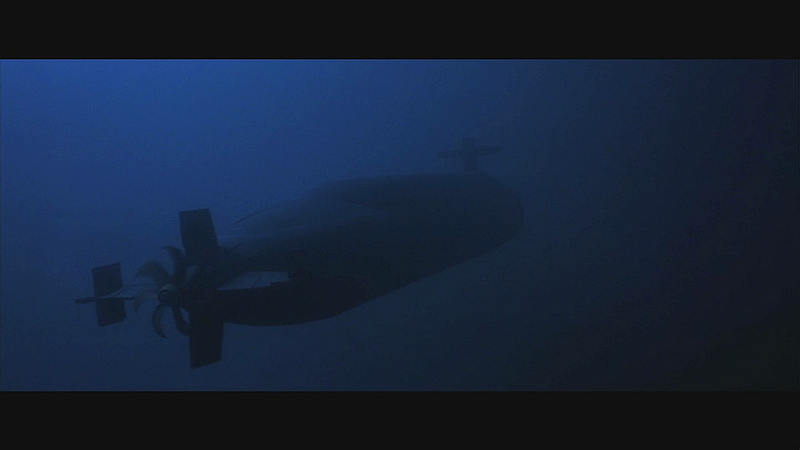 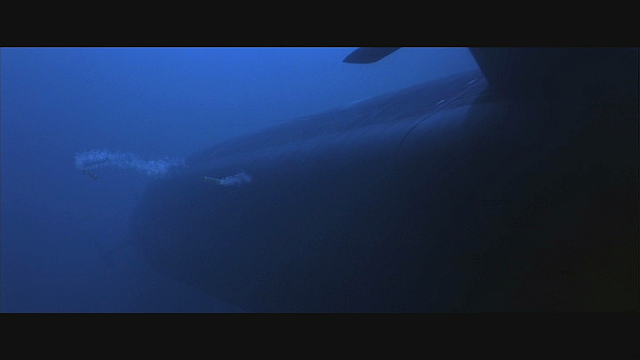 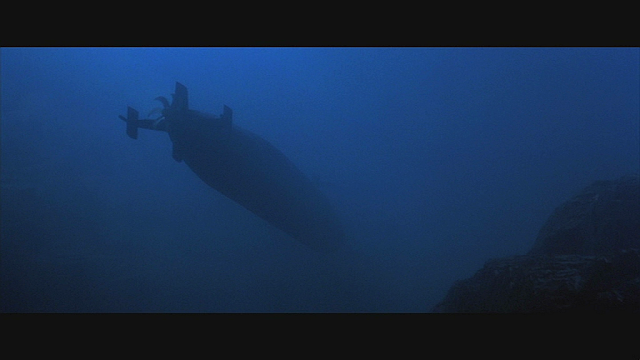 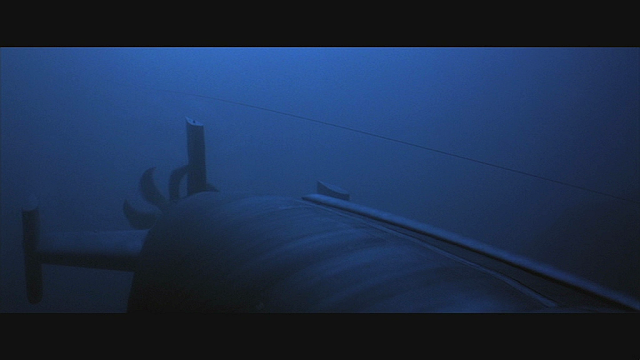 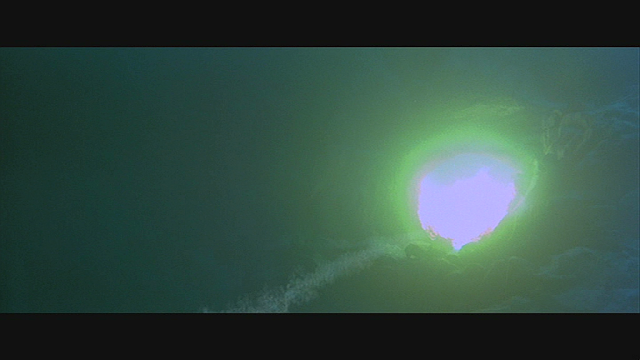 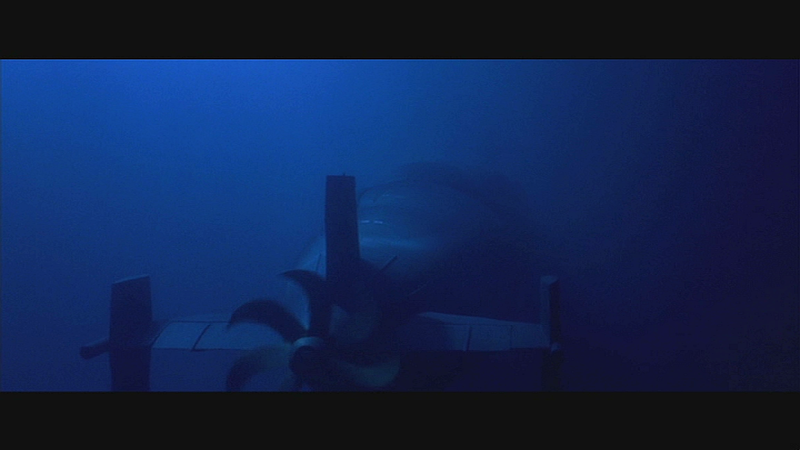 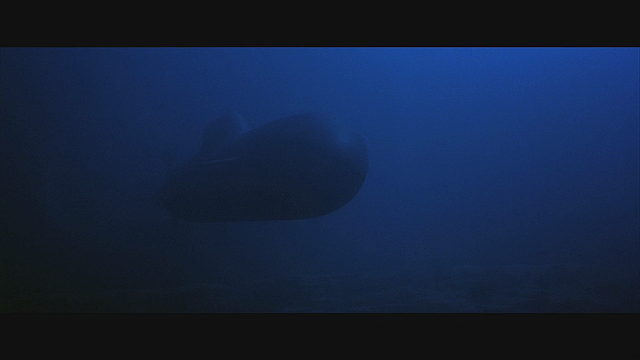 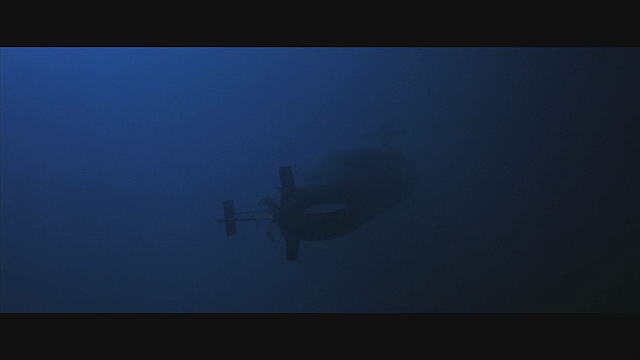 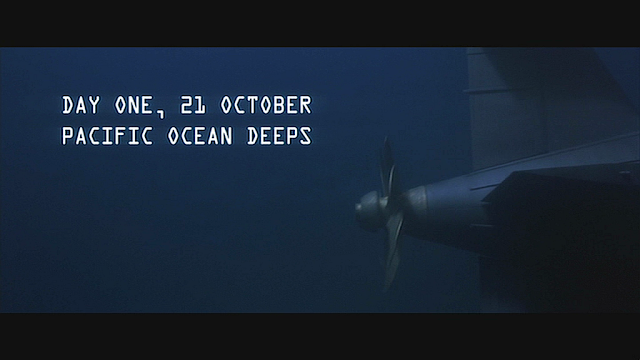 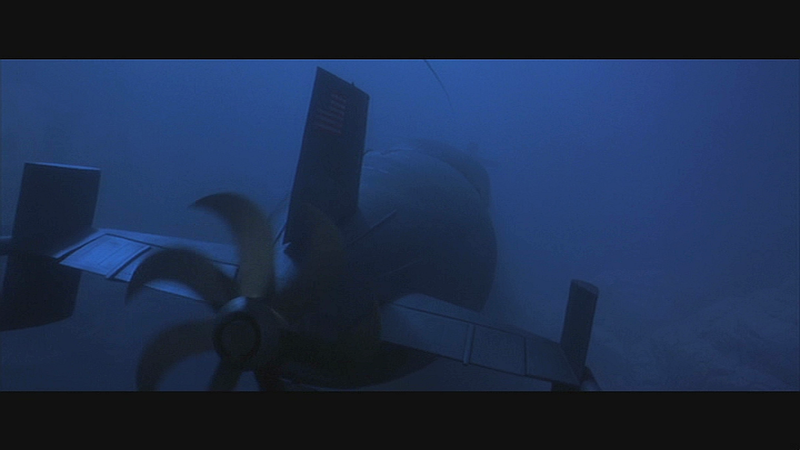 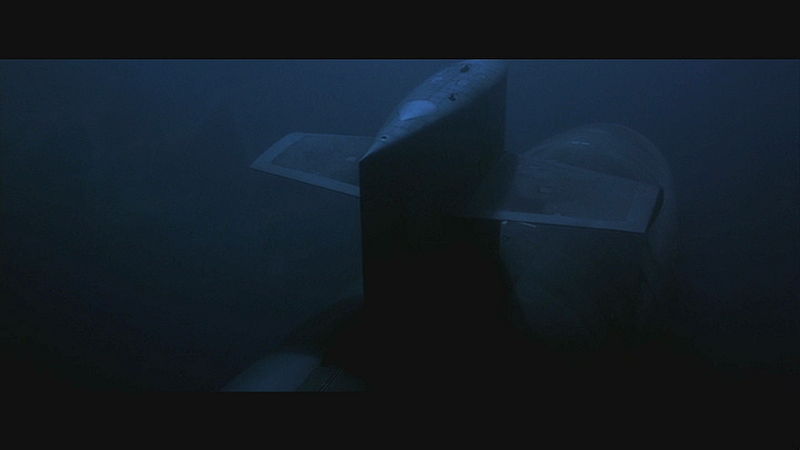 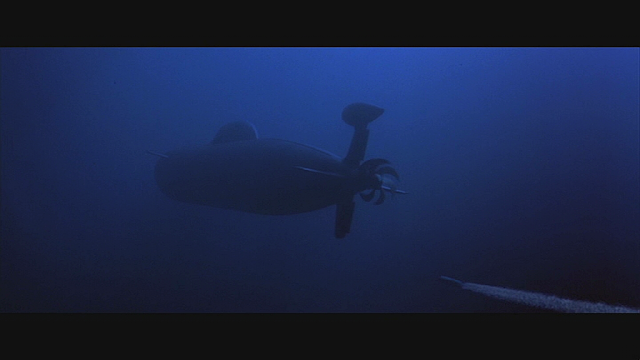 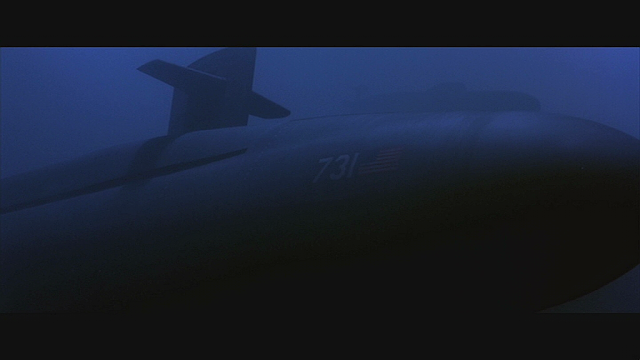 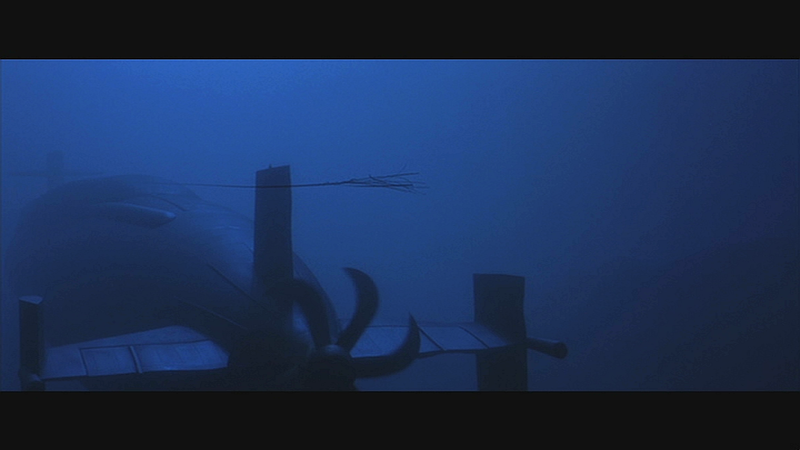 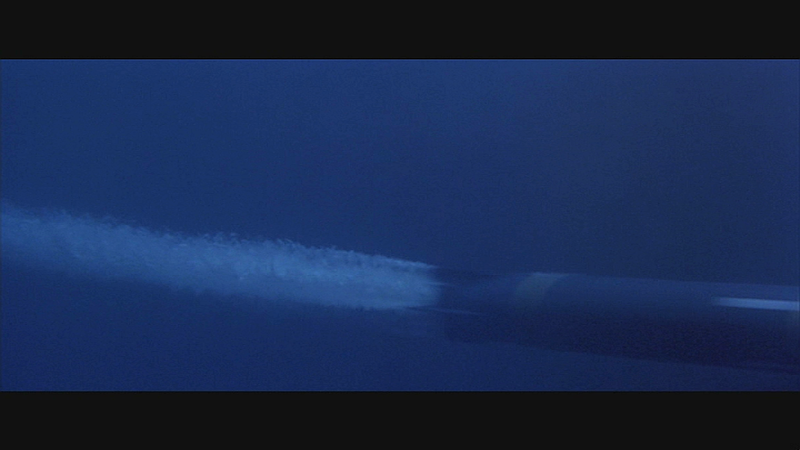 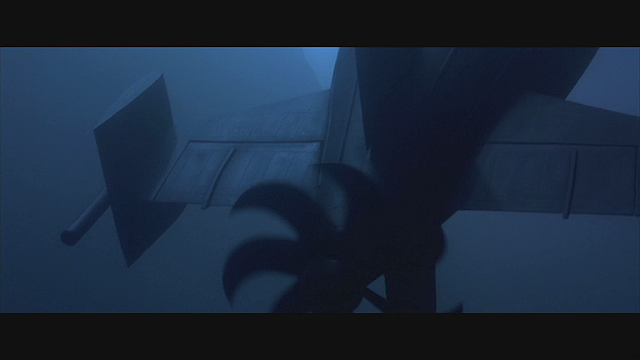 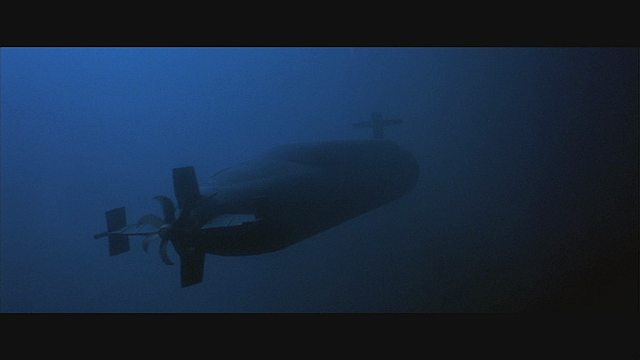 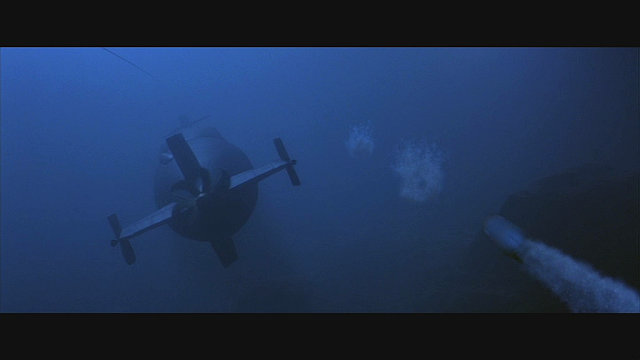 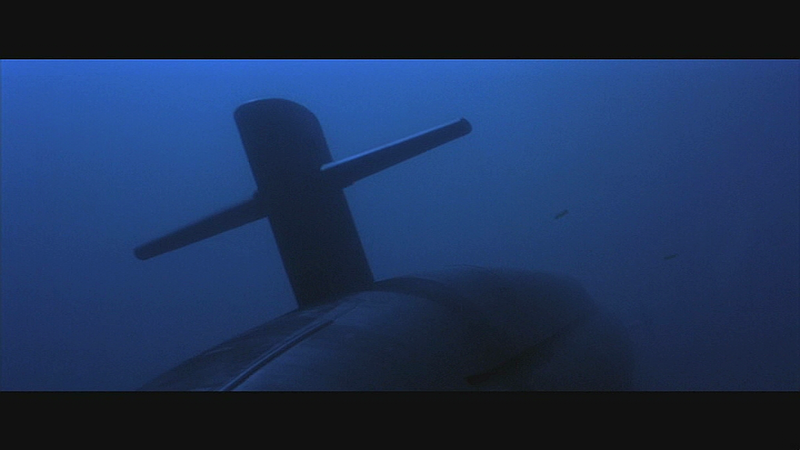 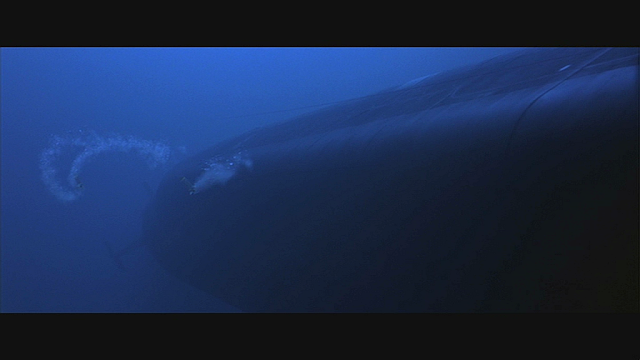 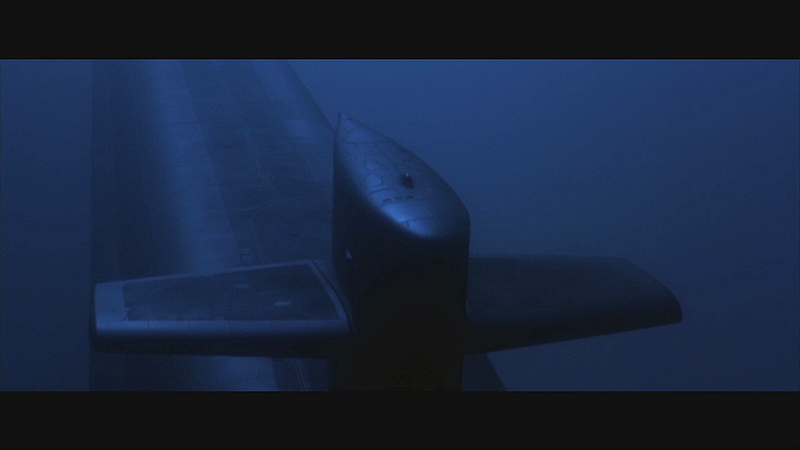 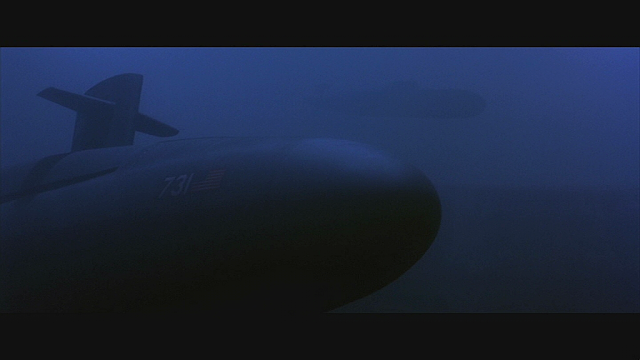 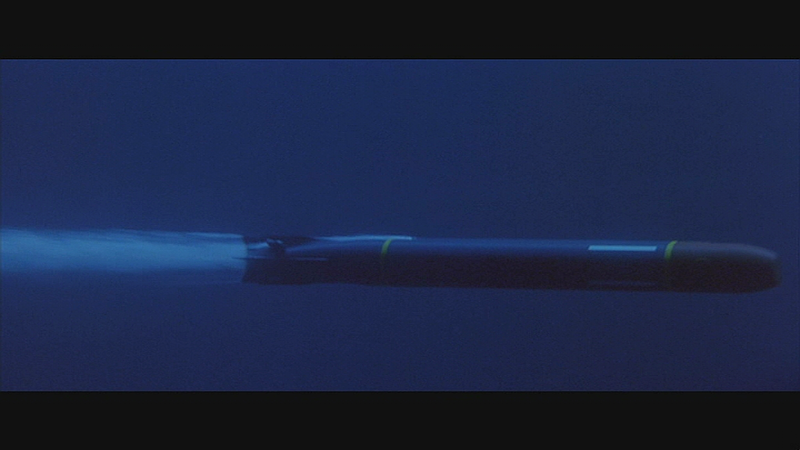 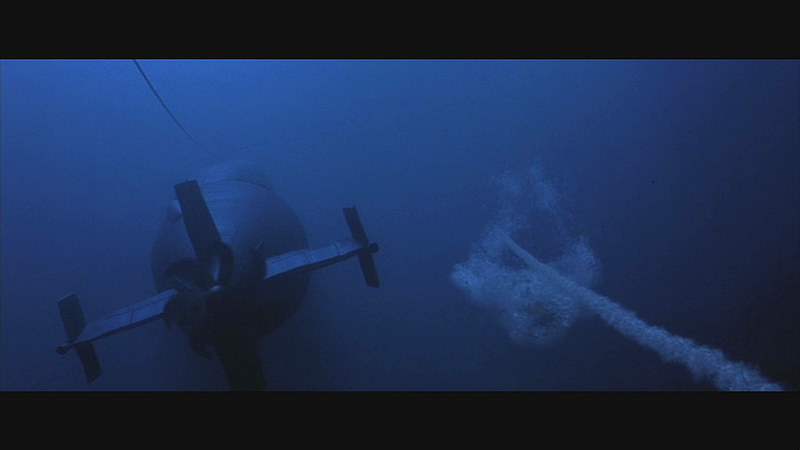 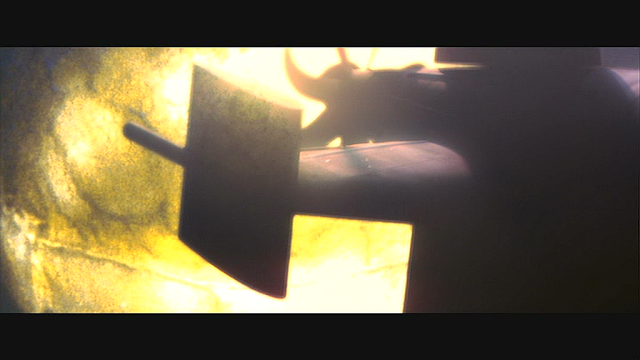 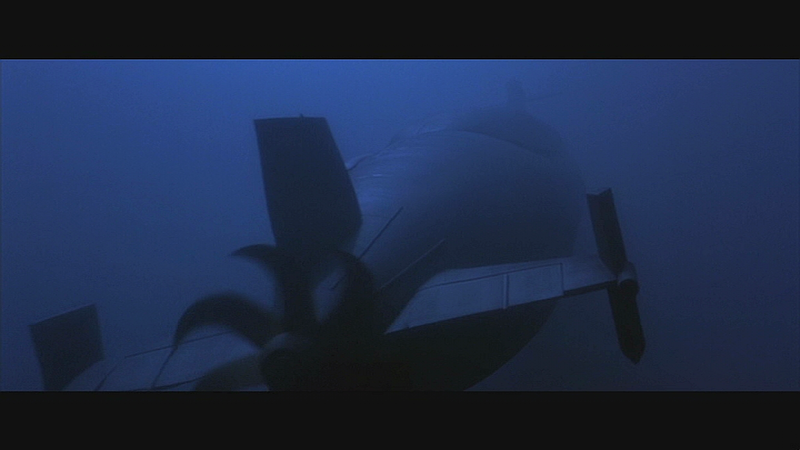 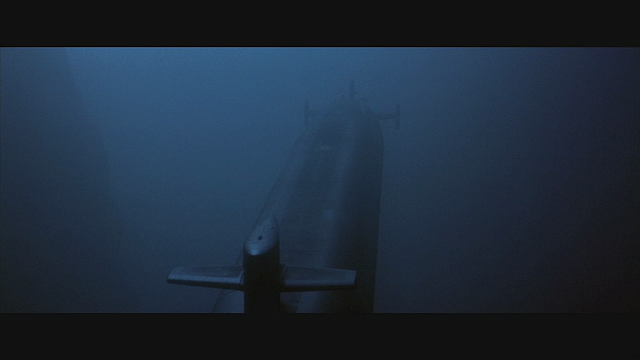 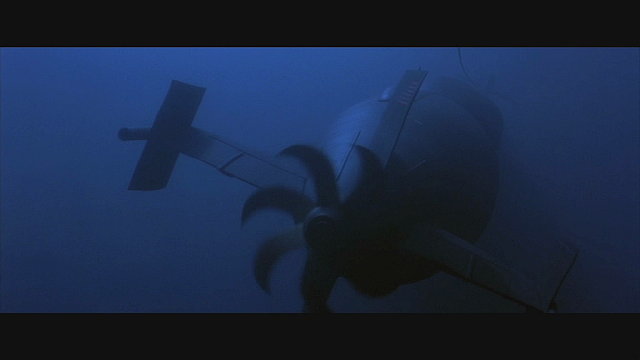 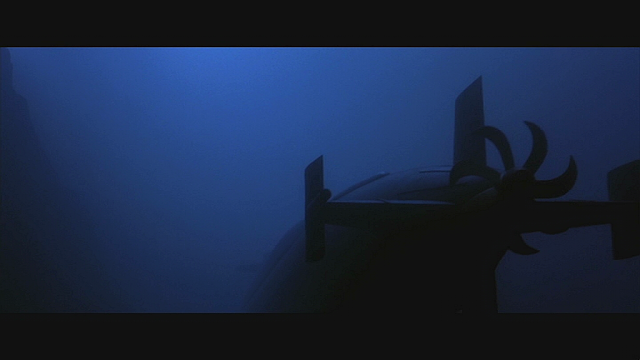 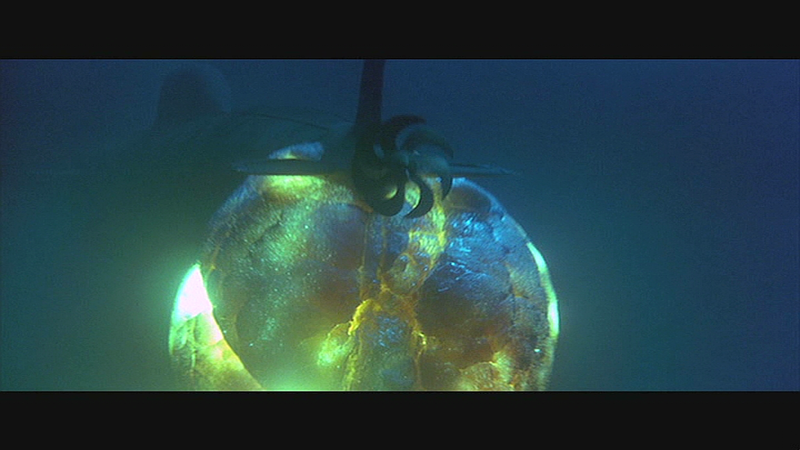 1/3 scale torpedoes, 7 foot long (2.1m) were constructed with air powered propellers and filmed underwater at the L.A. 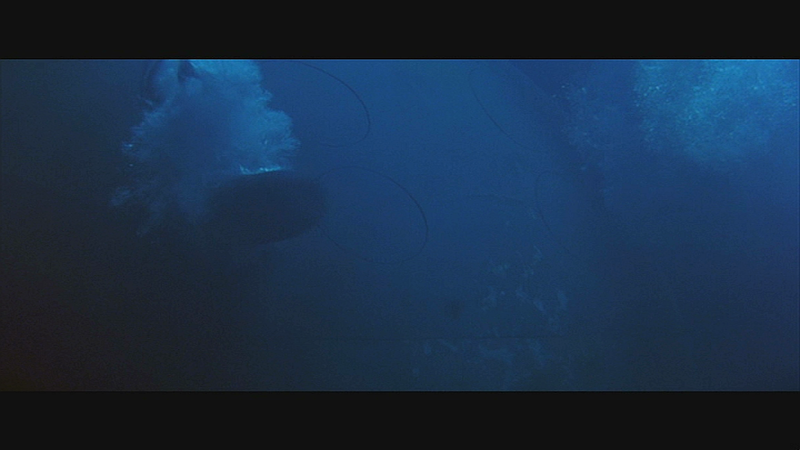 Swim Stadium. The physical effects supervisor John Gray set up an underwater guide wire and winch system to pull the torpedoes at the 40 miles per hour (64kph) required for the high speed shoot. 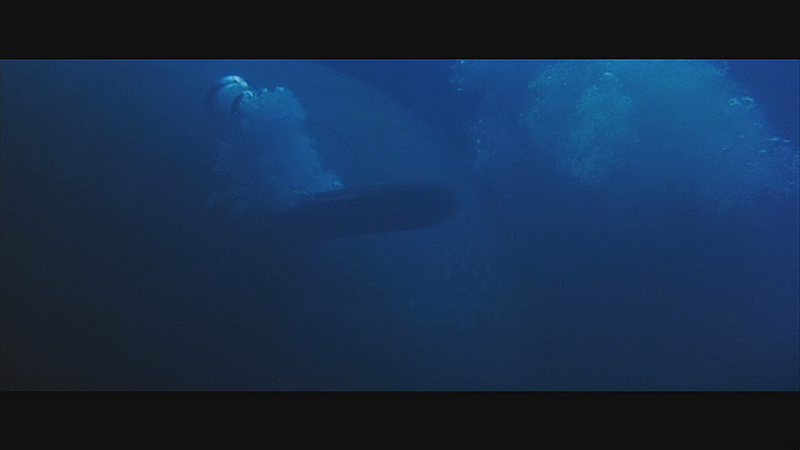 Also shot in the pool at the L.A. 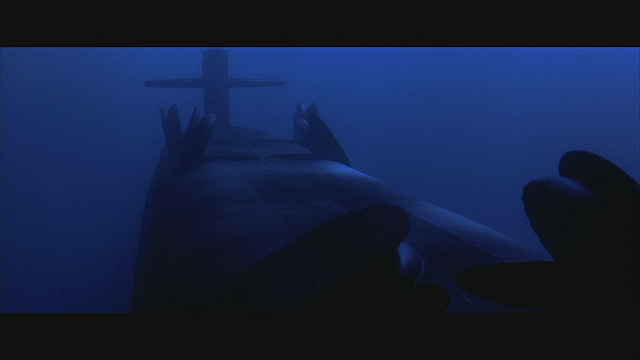 Swim Stadium was the destruction and implosion of the Akula submarine by the torpedoes fired by the Alabama. 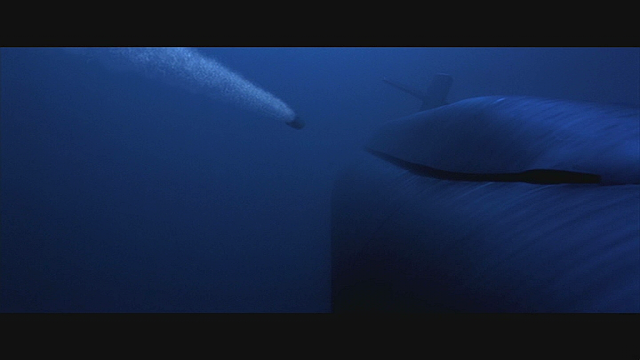 Three 20 foot (6m) specially fragile models were constructed from thin sheet lead over aluminium ribs by lead modelmakers Jim McGeachy and Ken Swenson. The thin lead sheets were hammered into fibreglass molds to impart the surface details and curvature. 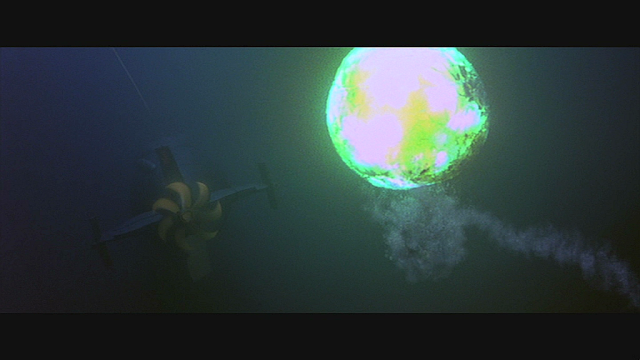 Inside the aluminium frame of each of the models were 7 glass vacuum jars end to end each rigged with a small explosive charge designed to shatter the glass. 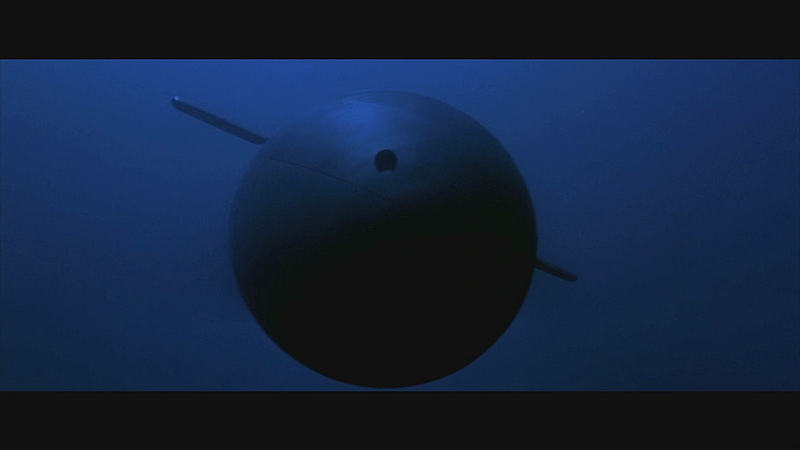 The very delicate models had wooden cradles built for transport and for lowering into the pool. 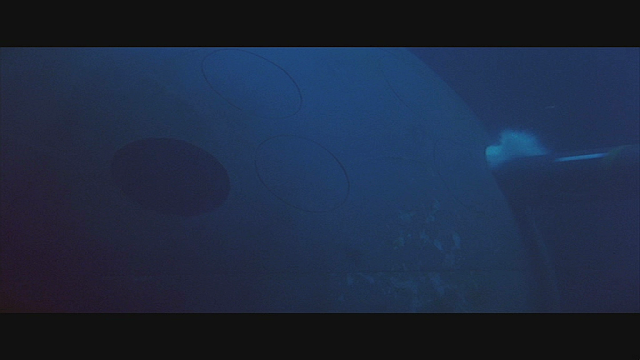 An underwater track and dolly system sitting on the floor of the pool was used to move the still positively buoyant model which was tethered by wires. Around 300 pounds (136kg) of lead had to be added to counteract the displacement of the 7 glass jars. The underwater dolly was moved by grips above the water at the poolside. 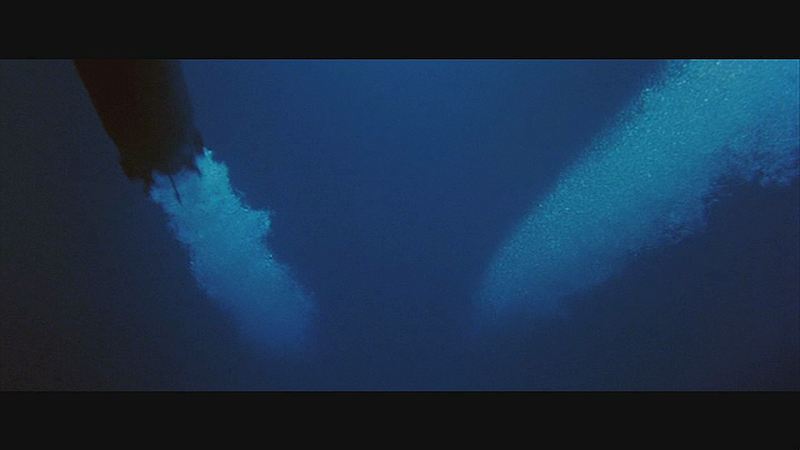 Once a take was ready to shoot the air in the glass jars was extracted by a vacuum pump and the hose removed. 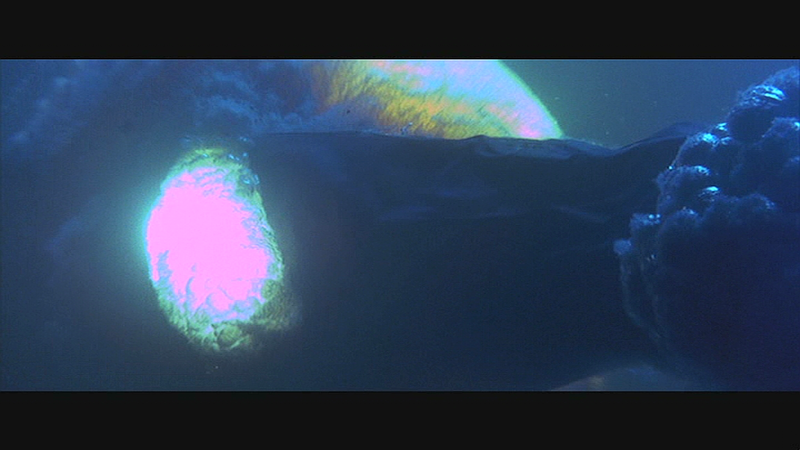 A series of electronically timed explosions was triggered starting at the stern and rippling forward to the bow. 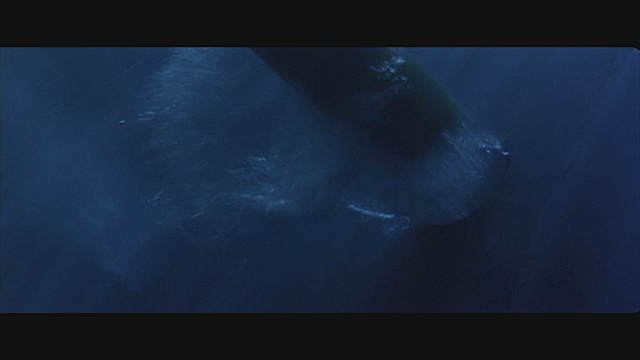 First a balloon filled powder charge for the initial blast followed by the glass shattering charges and finally a powder charge at the bow 24 separate events in all. 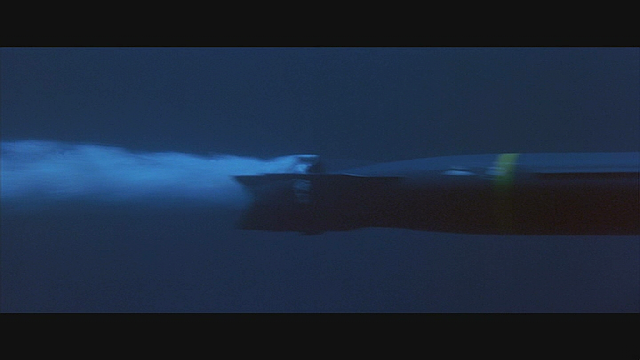 Four high speed cameras and two high speed Vistavision cameras captured the action. 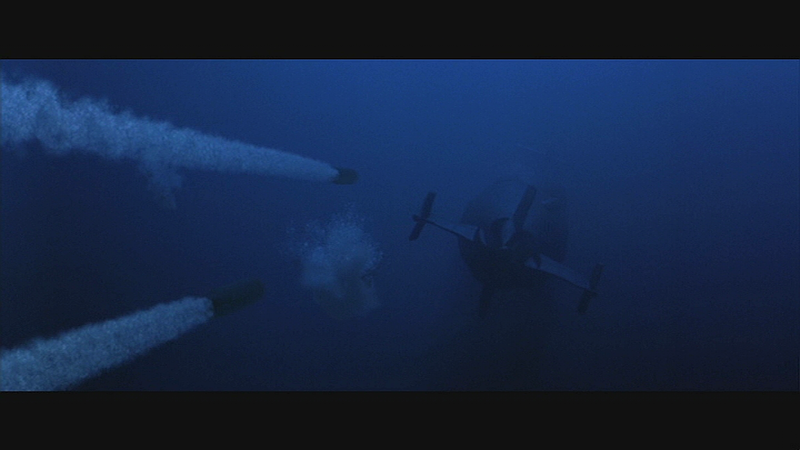 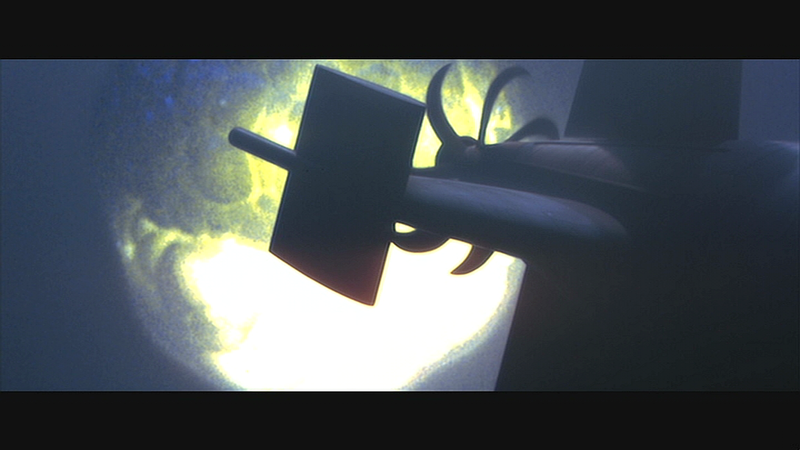 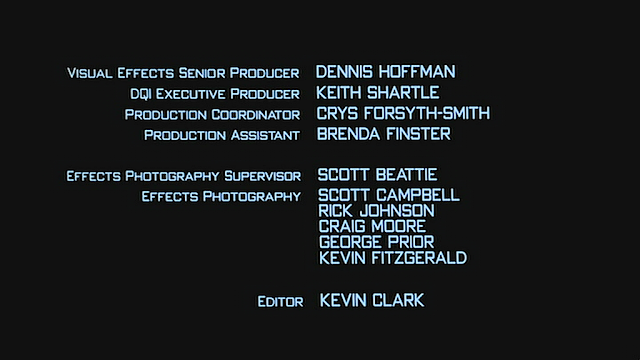 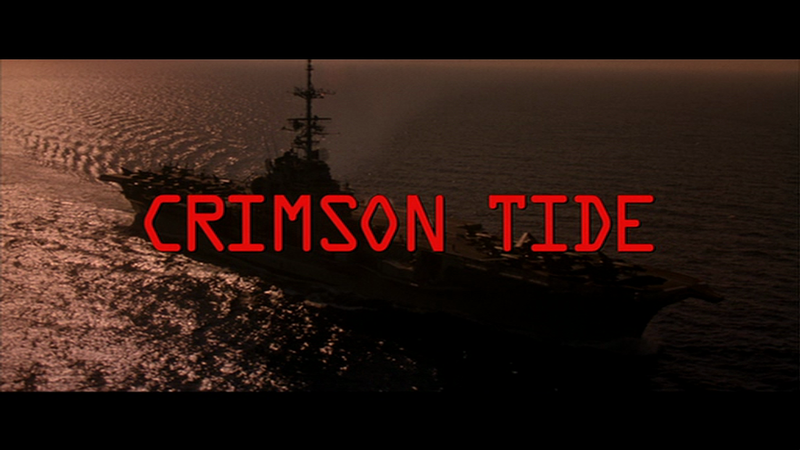 After reviewing the angles the director asked for some timing changes and bigger explosions. 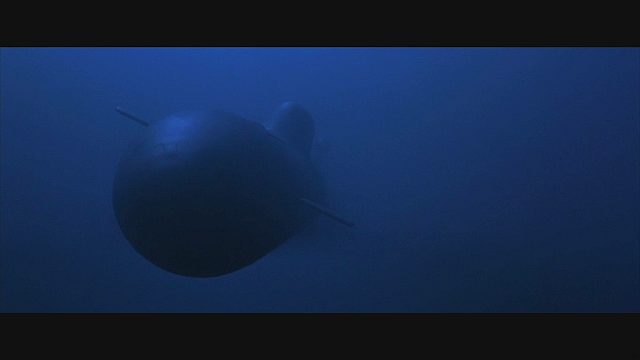 The remaining two models were slightly modified and three weeks later a second attempt was made which proved satisfactory and the third model was not required. 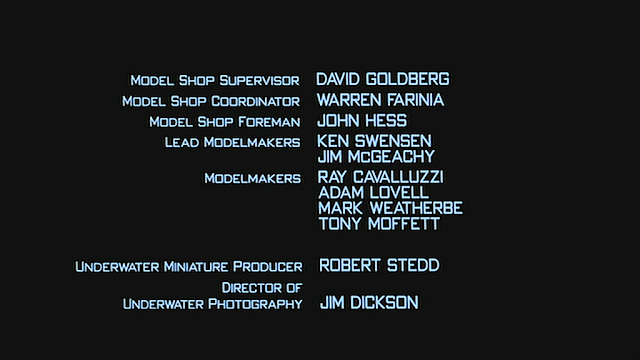 Bruce McCray supervised the painting of the models.